Central bank credit that supports markets - is not just creation of the Fed, but by central banks and institutions around the world colluding together. Global markets are too deeply connected these days to consider the Fed in isolation. Since last month’s correction, the world has been watching the Fed because its policies have global implications. And worldwide sell-offs sent a clear sign to Fed Chair Powell to relax with the rate hikes. When fears arise that central bank QE will recede on one side of the world, we see more volatility and rumors of hawkishness. To counter those fears, there will be a move toward dovish policy on the other side of the world. 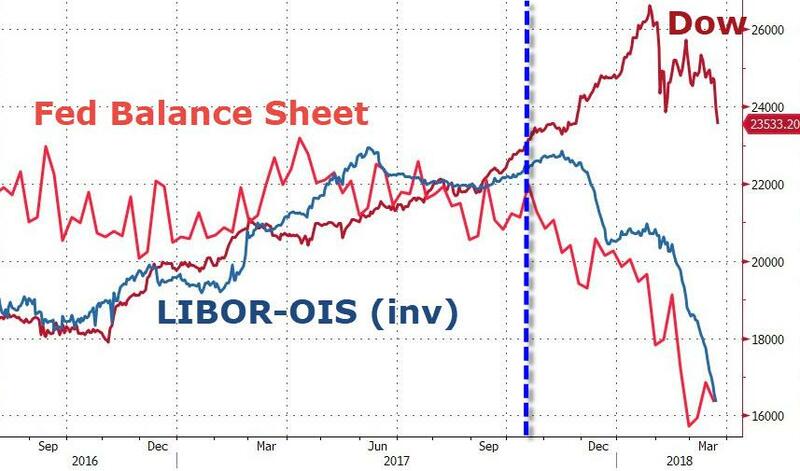 Central banks operate in collusion. When the Fed signals it is raising rates, or markets over-react negatively to the threat, another central bank steps in. By colluding, other central banks offer even more dark money-QE to keep the party going. The net result is a propensity toward the status quo in global monetary policy: a bullish, asset bubble-inflating bias in the stock markets and caution in the bond markets. While U.S. markets were correcting earlier this month, Japan’s financial benchmark, the Nikkei 225 index fell more than 1,200 points. At the same time, the rumors of Japan’s central bank curbing its dark money-QE programs are just that. While investors have speculated that the BoJ could be moving towards an exit from dark money policy (despite the BOJ denying this), we know that central banks are too scared of the outcomes. In an economic pinch, the Bank of Japan (BoJ), will keep dark money flowing. Confirming my premise, when Japanese Government Bond prices were dipping too fast, the BoJ announced “unlimited” buying of long-term Japanese government bonds. This is simply the continuation of the policy the BoJ already has in place. For the past year, there have been media rumblings that Japanese Prime Minister Shinzō Abe would relieve current Bank of Japan (BoJ) head, Haruhiko Kuroda. The dark money maven was set to end his term on April 8. Kuroda has implemented the most aggressive dark money manufacturing on the planet since taking the helm of the BOJ in 2013. Prime Minister Abe has become the longest-standing Japanese prime minister in years with the success of the snap elections he called for last fall. With core inflation rising just 0.5% last year, well below Kuroda’s 2% target, you should expect that he’ll be pumping even more dark money into Japanese markets. For investors that means more opportunities in Japanese stocks. Currently, I’m focused on sectors related to the 2020 Olympics and the infrastructure projects that come with it. Japan offers us a clear roadmap. Financial markets in Japan are clearly addicted to dark money. Meanwhile, over in Europe, on Feb. 5, European Central Bank (ECB) President Mario Draghi told a European parliamentary hearing in Strasbourg, France, that the ECB can’t yet “declare victory” in its fight to resurrect inflation. To calm financial markets, he noted, “Monetary policy will evolve in a fully data-dependent and time-consistent manner.” That means more central bank intervention to bolster markets when they buckle. Draghi espoused some concerns for the strong euro. Draghi’s euro concerns translate into keeping interest rates lower for longer as a way to cool off euro strength. That means more dark money. In the U.K., the jobless rate rose for the first time since 2016 and wage growth isn’t hitting the Bank of England’s 3% target. Here are the implications: The Bank of England, despite having hinted at tightening, can keep rates where they are given that elements of economic weakness still prevail. 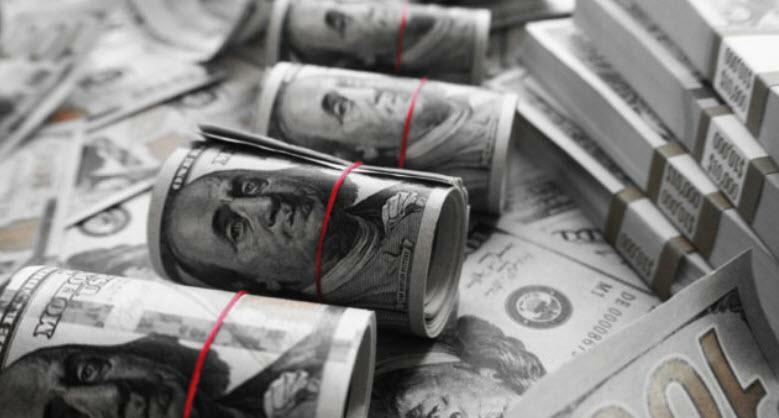 More dark money could be coming if economic conditions warrant it. Of course, one of the most powerful dark money leaders is the head of the International Monetary Fund (IMF), Christine Lagarde. That’s because the French leader manages the organization that directs an internationally accepted currency basket and coordinates global monetary policy. Lagarde provided a highly optimistic message at the recent World Economic Forum amongst the elites in Davos. Now she is attempting to step in again to sooth markets. When Lagarde speaks, we should listen. While it is true that global markets sank after the optimism at Davos, the elites have quickly pivoted. Their optimism and associated perception of inflation served to add to market volatility and contributed to the correction. So, they’ve now dialed it back. “I’m ringing not the alarm signal, but the strong encouragement and warning signal,” Lagarde told an ultra-wealthy Dubai audience. What central bankers don’t want you to know is that after a decade of cheap money policy to fix the worlds’ economies - they’ve only inflated asset bubbles. That’s why Lagarde repeated last month’s IMF forecast, singing the chorus that the global economy would hit 3.9% growth in 2018 and again in 2019. What this statement should signal to you is that central bankers are hitting their limits. They don’t want you to know how ineffective dark money policies have been for real economic growth. The concept of central bank collusion is not one that is built upon conspiracy theories. To the contrary, the alliances make perfect sense and operate publicly. If the Fed rate hike this week teaches us anything, its that Jerome Powell will eventually embrace the same unlimited easy money policy on any sign of market weakness, while the global web of central banks remain as omnipresent as ever. 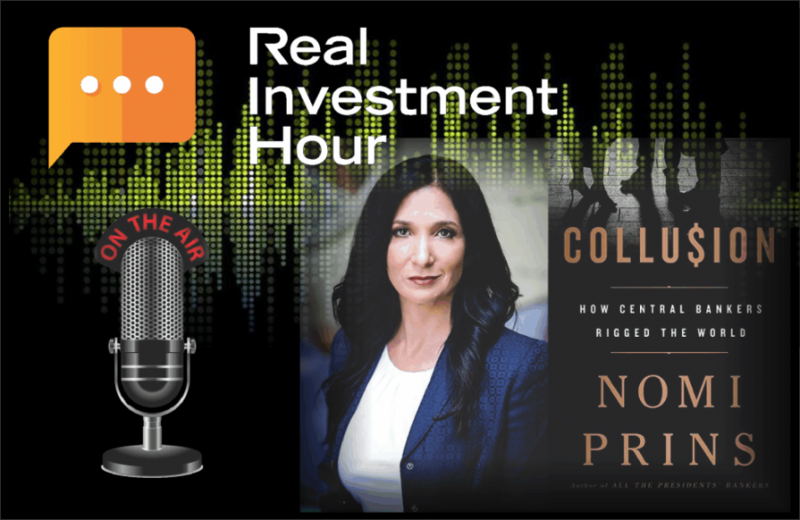 Earlier in the week, Nomi appeared on Lance Roberts' “Real Investment Hour” to discuss the Fed’s rate hike decision this week and the end result of the ongoing surge in debt combined with continued Central Bank interventions.